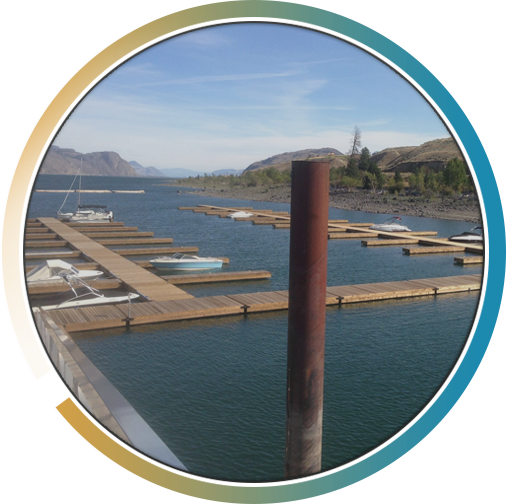 We design and help create marinas customized to the way you need them. 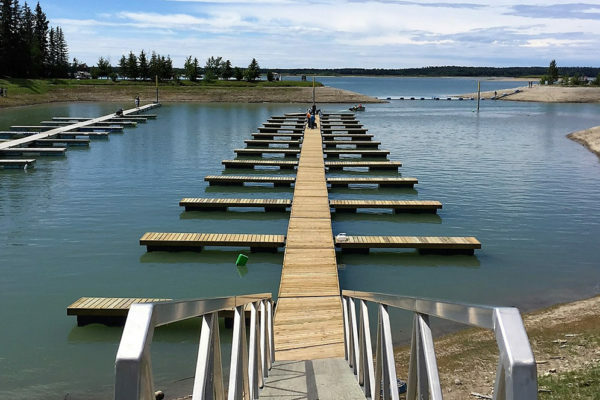 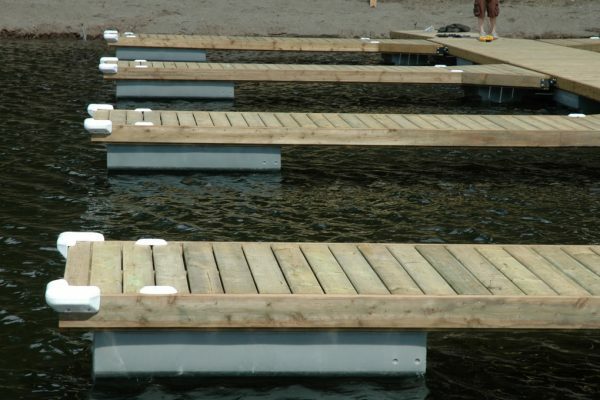 Our floating structures can be attached to piles, anchoring system from the bottom of the lake or from shore. 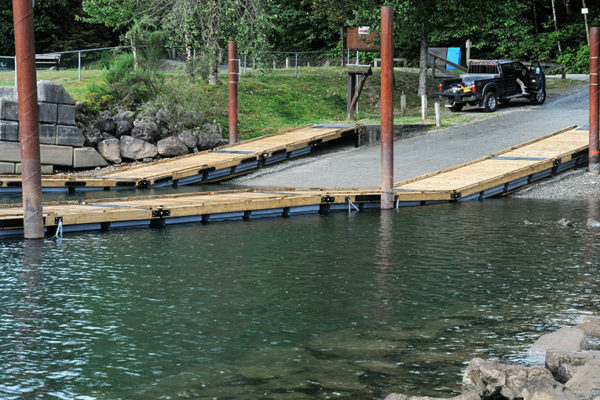 The most common sizes for main walkways are 6′-8′ in width and 20′-40′ lengths hinged to the additional sections. 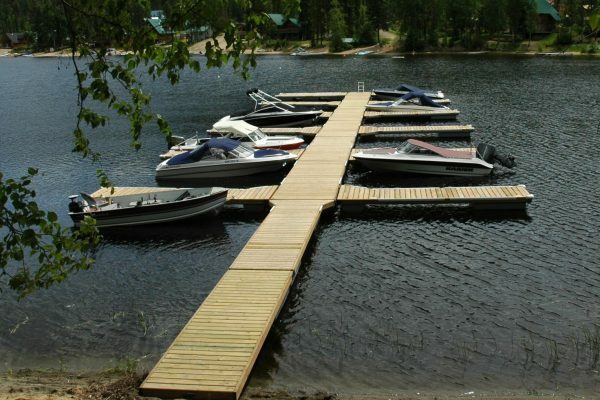 Standard main fingers are 4′-6′ in width up to a standard length of 20′. 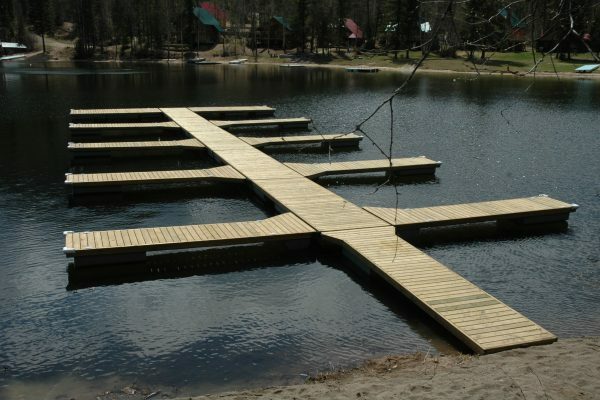 Larger fingers can be made if needed. 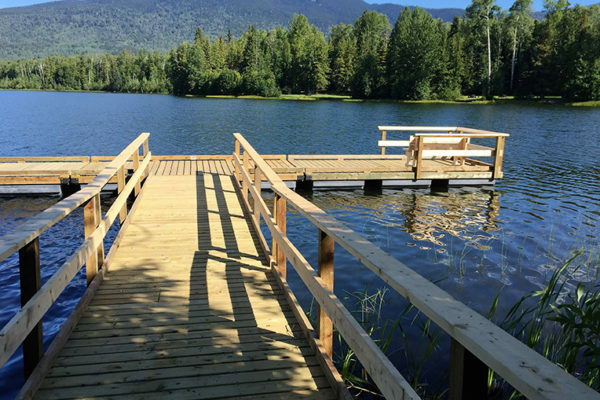 All of our products are manufactured in British Columbia Canada at the New Wave Dock factory, located in 100 Mile House, BC. 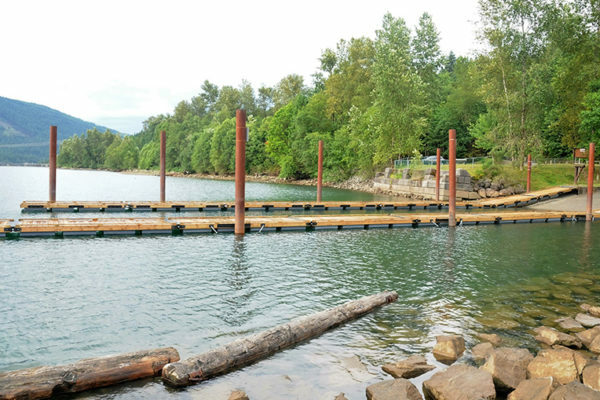 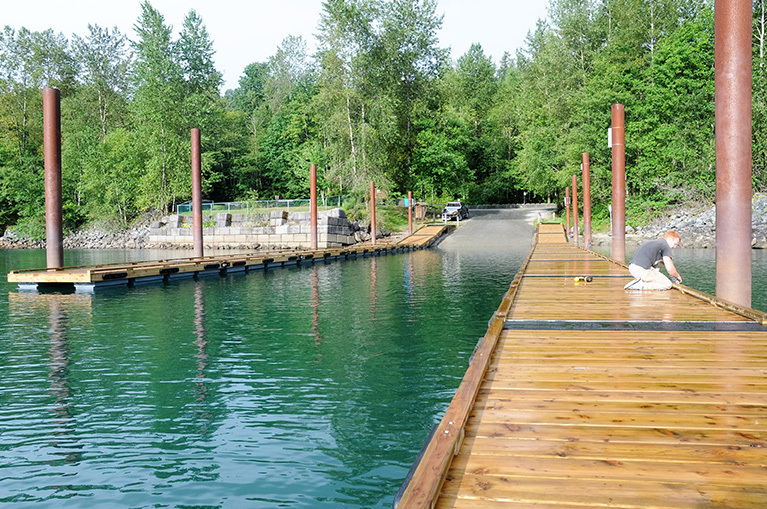 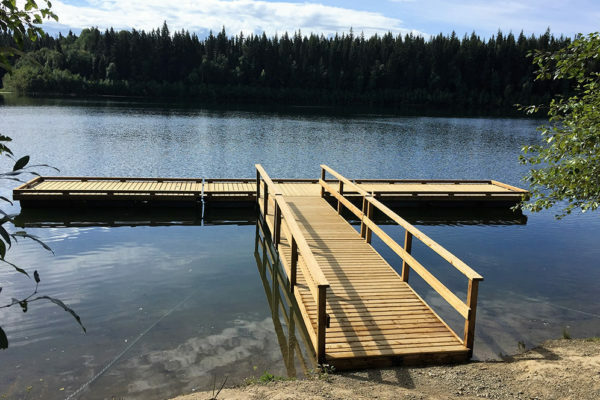 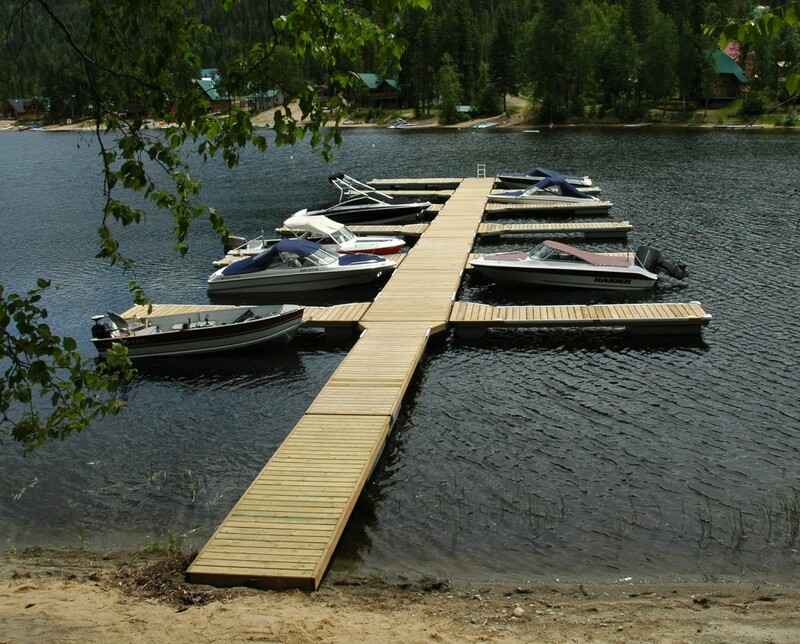 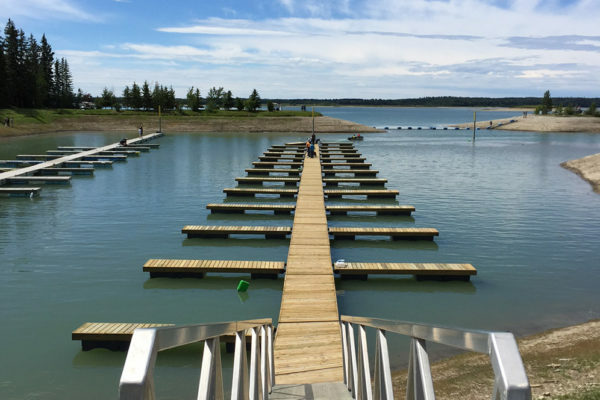 We ship docks, dock floats, pontoon boat modules, and all terrain trackers anywhere in Canada and the United States.